Place: 1st in the Southeast, 12 points ahead of the Panthers. The Caps may want to avoid any political holidays in the future, especially those involving the Senators. You know, the ones up in Ottawa. Last night’s 3-2 loss was a tough one, as the Sens scored with less than two minutes remaining. The power play goal by Brendan Bell late in the third broke a Washington comeback and their three-game win streak as the NHL’s All Star break begins for the Caps. 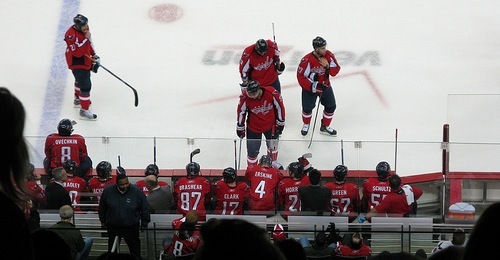 Back on Election Night, Nov 4, the Caps faced Ottawa and lost then, too, in a 2-1 contest. Apparently, big political days and Caps hockey don’t mix. Going in, the Caps sit atop the Southeast Division and second in the Eastern Conference, fully in command of their playoff chances. Barring a slew of injuries or a complete fractioning of the team, the Caps are looking to be solid playoff contenders this year. 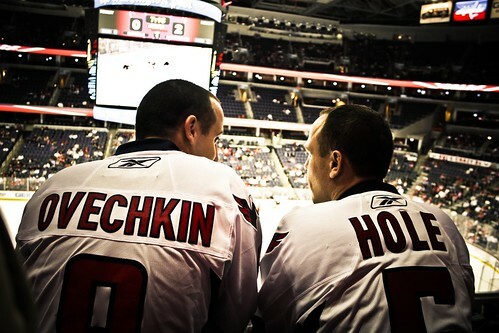 This Sunday, watch for Alex Ovechkin in the All-Star Game, his third straight appearance. He’s the only Caps player to ever have three goals in all-star games. He’ll also be participating in the Superskills Competition on Saturday evening, which is always a treat. Forget the NBA’s slam-dunk competition – if you want to see artistry on ice, don’t miss this. It’s easily the biggest highlight of the weekend. Nicklas Backstrom will also be in Montreal this weekend, having been one of 20 players chosen to participate in the NHL YoungStars game on Saturday. This is his second appearance. The Caps return to the ice on Jan 27, facing the Bruins up in Boston. Finally, we got someone in this town who can play basketball. We’re hoping that the Wizards will quickly get President Obama into a jersey, so that he can save the Wizards’ season much like he’ll save the nation. Will they be putting a Presidential Box in at the Phone Booth? Tonight, though, they’ll be facing the slumping Sacramento Kings, who’ve got just two more wins than our Wizards. The sole win in the last two weeks came against the Knicks, and even that looks more like a fluke than a legitimate victory. I wish there was even a bright light in all of this, but there’s not. One last football word before the Pittsburgh/Arizona Super Bowl on February 1st: Oh Ravens. Oh Baltimore. So close, and yet, so far. Your anemic offense just couldn’t fight its way out of a wet paper sack. Flacco is awesome, but you’ve got to find someone to throw to.